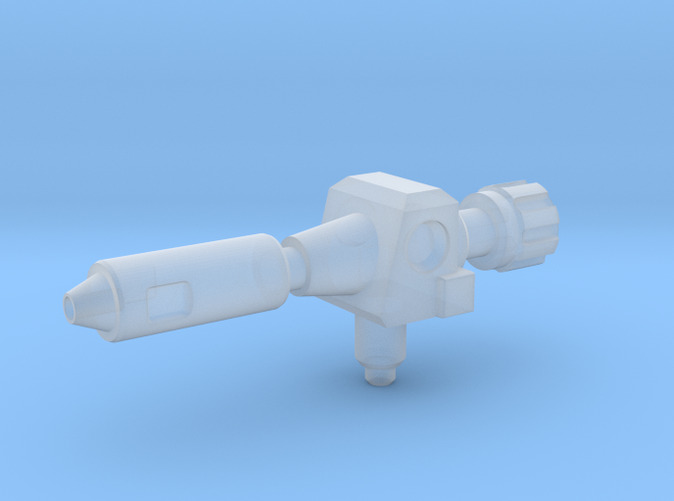 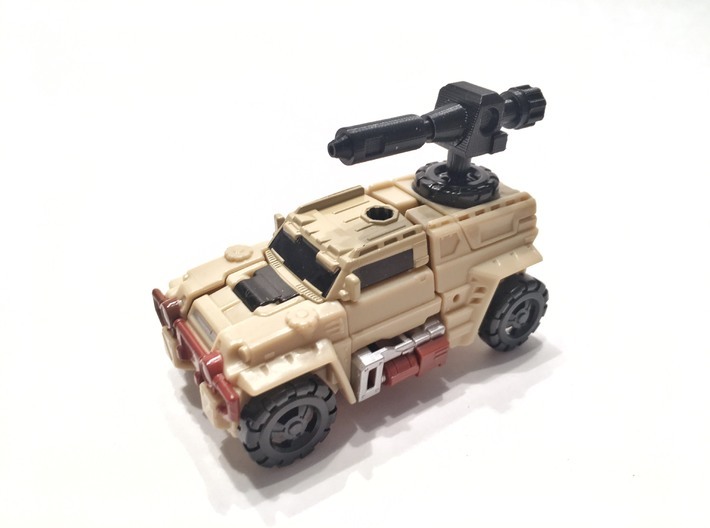 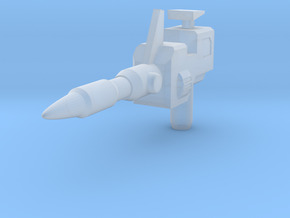 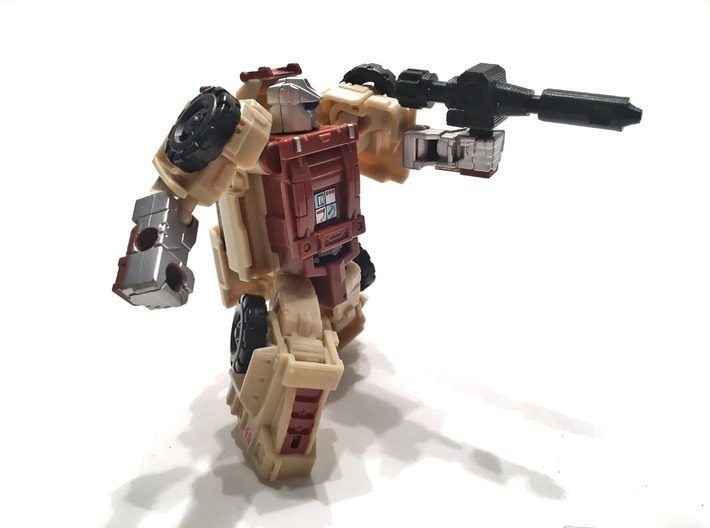 An add-on cannon for Transformers Power of the Primes Outback that can be mounted in alt mode. 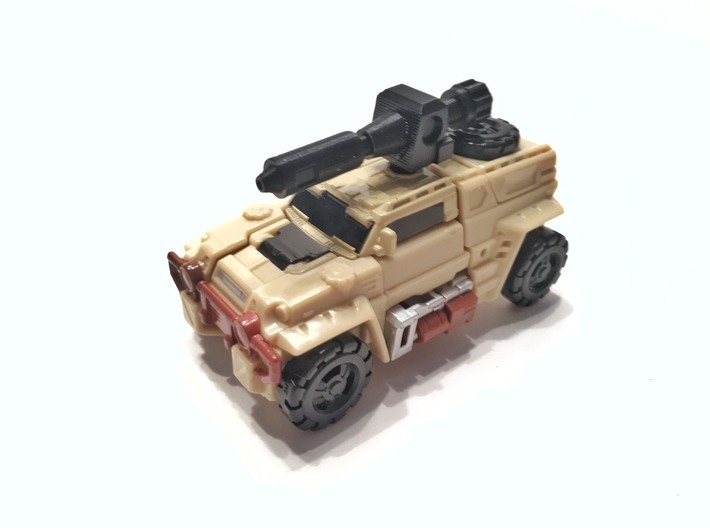 It fits in the 5mm hole on top of the vehicle as well as the 3mm hole on the spare tire, just like the G1 minibot. 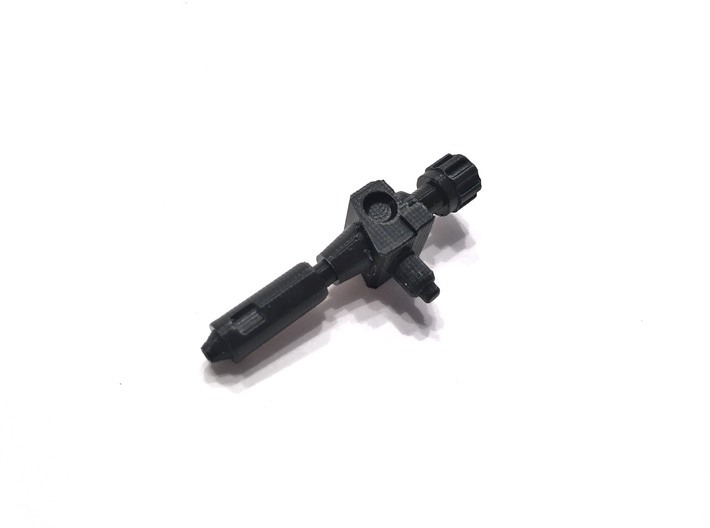 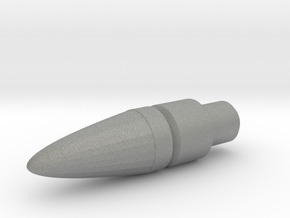 The weapon can also be held in bot mode and with the 5mm grip is compatible with most modern Transformers.